Would you like to be a raven, soaring in the evening sky? 4 3/4" diameter x 1" deep. Made of white earthenware clay, glazed and twice fired. 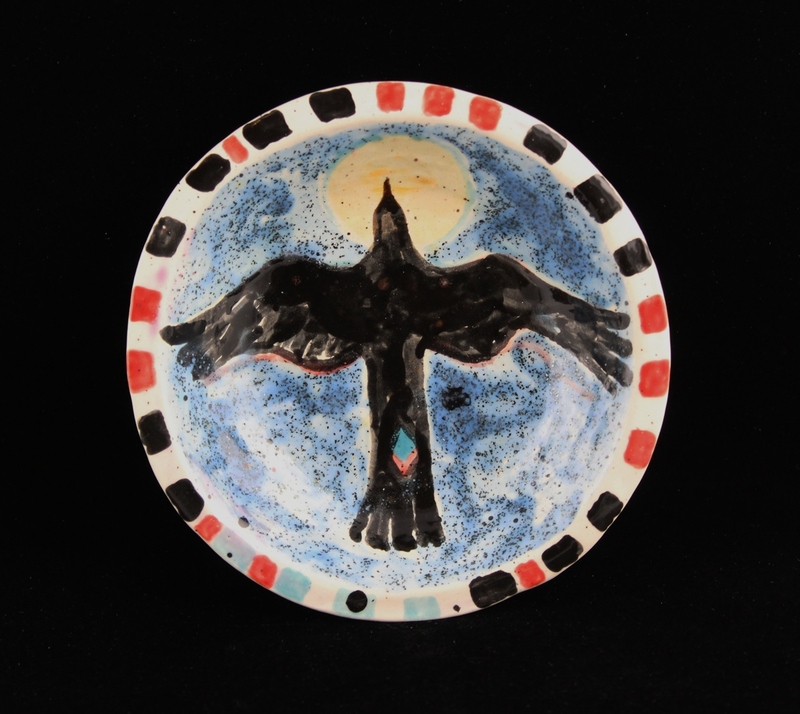 Handmade and hand painted by Southwest clay artist, Karlene Voepel. The photo doesn't do it justice. The colors glisten through the layers of glaze. Truly beautiful! Free shipping & free gift wrapping if desired. Please indicate in Notes.